My order containing the two shower gels took a lot longer than expected to arrive as well as the two bubble bars so I missed adding them into my December round up post. I was going to add them to January's post but it was getting a bit too long so I thought I'd just post a part two. You can see part one here. Party On Shower Jelly | £7.95 // I wasn't sure what to expect from this shower jelly as I didn't read up on it before buying. The scent is fresh mint, menthol, lime and rosemary. It surprisingly works well together and is incredibly refreshing, one that I like to use in the mornings or if I'm not feeling too well. 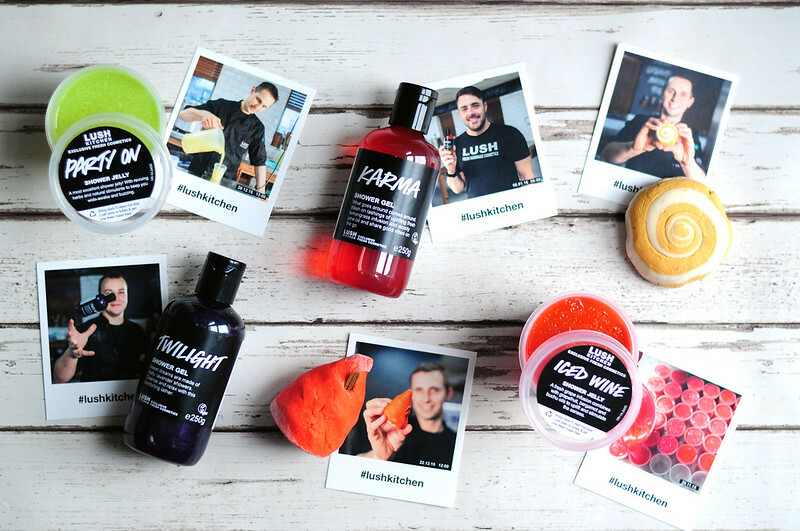 Twilight Shower Gel | £11 // Just after I bought the gift set containing a mini bottle of Twilight, the Kitchen brings out a 250g bottle. Needless to say, I still bought it. I love the lavender and malt scent of Twilight and cannot wait to use this properly without worrying that I don't have much left. Karma Shower Gel | £11.25 // I couldn't resist buying this shower gel so I could use it with the bubble bar, bath melt and body lotion that all shares the same scent. I feel like the pine, lemongrass and chamomile scent isn't going to be for everyone, it's very strong and sometimes overwhelming but I love it. The shower gels smells slightly different to the bubble bar but it lived up to the expectations with how amazing it is. I also got the Karma Kream Body Lotion in a gift set so I cannot wait to have a Karma scented bath! Christmas Kisses Bubble Bar | £3.95 // This bubble bar smells of straight up cinnamon and it's incredible. There is also meant to be clove in there but I can't really smell it but I do smell the hint of orange. Three Gold Rings Bubble Bar | £3.95 // I know I've had this one before when it was released one Christmas but I couldn't for the life of me remember what it smelt like when I ordered it. I still can't quite make up my mind if I like the scent of this one or not. When I opened the box, the first scent I could smell was honey even though I don't think that is on the list on ingredients. Lush describes the scent as a mix of sweet orange oil, Fair Trade vanilla absolute and myrrh resin. Iced Wine Shower Jelly // The Mumkin Bubble Bar took longer than expected to be made so Lush sent this shower jelly and the Violet Nights Bath Oil as a surprise to those who ordered one. I'm still waiting for the bubble bar even though it's been longer than the seven days they said it would take for it to arrive but I can't really complain with customer service like that. They've sent out over £20 worth of product even though I only ordered one Mumkin which was about £4. I couldn't make up my mind to get the Iced Wine Shower Jelly when it was part of the November menu one week and am glad I didn't now as I have this one. It has quite a sweet fruity cocktail scent so I think I'll save this for the summer months and might even try putting it in the freezer before using it.